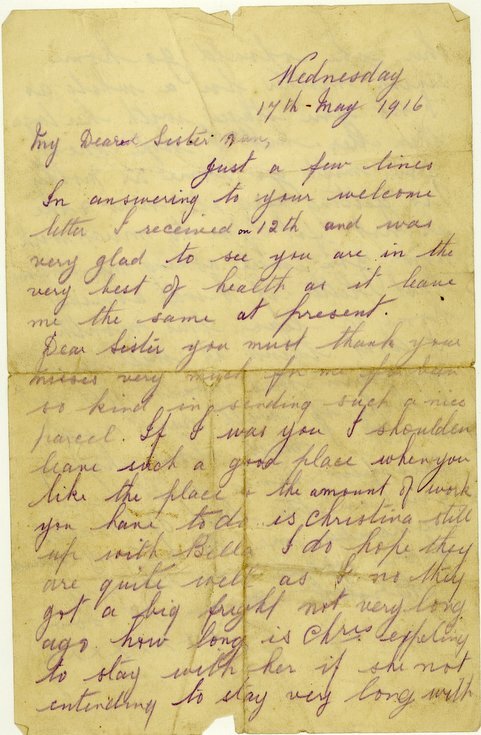 Handwritten two page letter dated 17 May 1916 from Donald Mackay to his sister Nan, thanking her for a parcel. The letter expresses the hope that he will be coming home on leave at some stage. A note with the letter states that it was found in Donald' pay book and not actually sent.